If you have Jailbroken your iPhone or iPod touch and use jailbreak apps then you would know that most of the times jailbreak apps have something special in them.And one of the latest jailbreak app is Voice Activator by Chpwn.It is an app which enables you to give command to your iOS device with your voice. 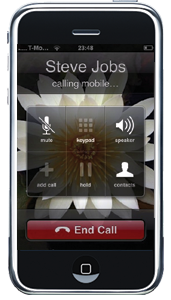 to let you take full control of the Voice Control feature of your iPhone or iPod touch. Launch apps, open URLs, use Activator actions: it’s all here, in one tweak. This app is certainly magical as it allows you to control your device with your voice commands just like in the good old movie scenes and definitely it would be useful for you while you don’t want to touch your iPhone for whatever reason. This app would be soon available as Cydia.Check out the demo of this app in the video below. How to make Keynote moves more stimulating?